Quoted fares are the lowest available during the promotional period and are subject to availability. Departures on a weekend (Friday, Saturday, Sunday) incur a USD25 surcharge. The maximum stay is 6 months. Once the ticket has been issued, a fee of USD100 will apply for any changes or cancellations. Fares are eligible for Asia Miles reward program. 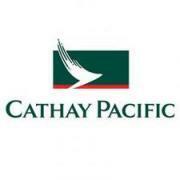 Cathay Pacific Airways is the flag carrier of Hong Kong and this city serves at the hub for travel between North America and the rest of Asia. Cathay Pacific is a full-service airline and fares include on-board entertainment, meals, and a checked luggage allowance of 20kg for economy class passengers. Promotional fares can be booked online at http://us.cathaypacific.com.